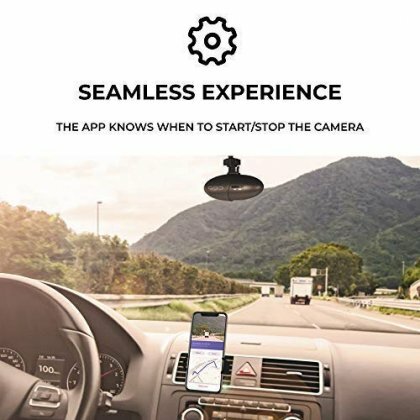 【POWERED BY THE SMART NEXAR APP】 This dash cam syncs directly with the free Nexar app. When used together, the app can detect dangerous events on the road like crashes or sudden breaks and automatically saves the dash cam footage of these events on the FREE cloud account. Always have the evidence you need, all from your phone. 【FREE CLOUD STORAGE】 The Nexar app automatically records dangerous events on the road. These short clips are saved for FREE on your personal cloud account and can be accessed anytime, from any device. 【1-CLICK COLLISION AND SPEED REPORTS】With the Nexar app and dash cam, you can collect all the evidence you need after a collision with Nexar’s 1-Click Report. The 1-Click Report summarizes key information about a crash including dash cam footage, speed, g-force and location of the crash in a report that you can use as evidence or send to your insurer. Did you get a speeding ticket? Nexar can also give you a speed report. 【EVERYTHING WORKS AUTOMATICALLY】 Using Nexar synced with a dash cam couldn’t be easier. 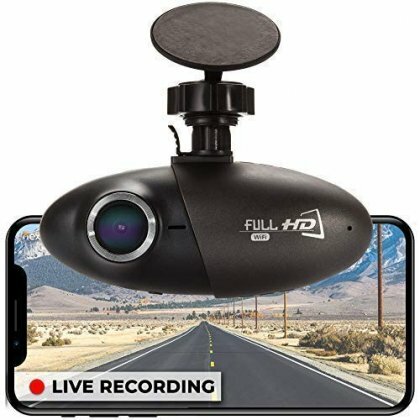 Installation takes only 10 minutes, and the app will automatically start and stop recording when you start and stop driving. 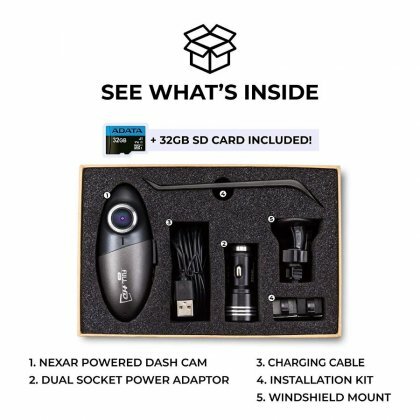 【FULLY EQUIPPED WITH FREE SD CARD】Along with the dash cam, you’ll also get an installation kit, windshield mount, dual socket power adaptor and charging cable. 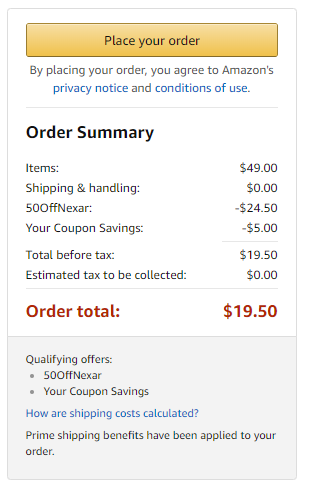 To top it off, you’ll also get a 32GB sim card, a $12 value, free. 휴대폰 화면은 케이블 연결해서 보나요.? 가끔 해뽐에 오는거 보면 후방카메라른 없는 것 같은데 그런 분들은 후방카메라도 따로 쓰시는건가요? 아니면 후면은 그냥 포기하시는건가요? 저는 후방용이 따로 있나 했습니다. 액정이 없는 대신 상대적으로 크기가 작아서 후방시야를 많이 가리지도 않고 괜찮을겁니다. 핸드폰 보조 배터리로도 구동되겠네요. 제가 우려했던 부분인데 알려주셔서 감사합니다. 드디어 쥬쥬님 블박 구매하네요. 감사합니다. 휴대폰 연결이 5ghz대역인 거 같아서 하나 사봅니다. 기존 쓰던건 2.4ghz라 영상 꺼내려면 너무 느렸던지라..
FHD가 아니고 1280 X 720 입니다. hd도 아주 나쁜건 아니지만.. 취소할까 고민입니다. 정보 감사합니다 추천! 새 코멘트를 작성할 수 있습니다.